2019 started with good news from Gediz Delta, home to ten percent of the world population, and 30 percent of the European population of Greater Flamingos. Doga (BirdLife partner in Turkey) announced that the Administrative Court of Izmir permanently halted the major highway construction. The execution of the project was halted as a precautionary measure in August 2018. The court case was initiated by Doga and its allies in 2017. Gediz Delta, a Ramsar Site since 1998, extends over 40.000 hectares along the eastern coast of Izmir Bay, where the Gediz River meets the Aegean Sea. The delta annually hosts 15 thousand pairs flamingos during breeding season along with several other species such as the Dalmatian Pelican. It qualifies as an Important Bird Area (IBA) and Key Biodiversity Area (KBA) for the great variety of species and it is recognised as an IBA in Danger because of major development projects posing threats to the site. Moreover, the delta provides essential livelihoods to the local population, comprising one of the largest salinas in the Mediterranean. 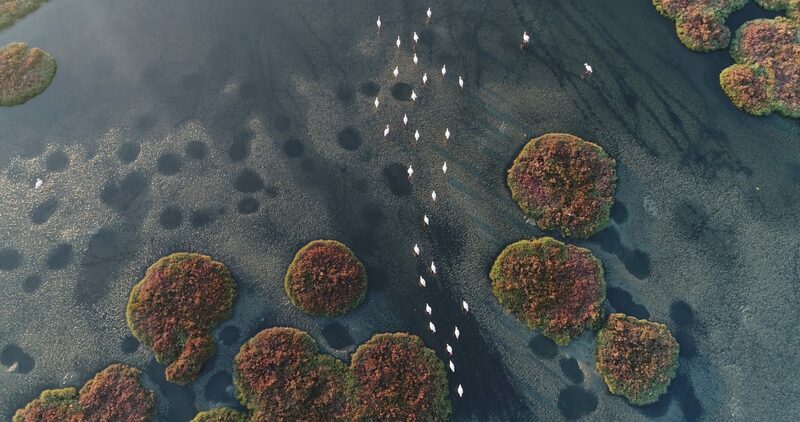 The bridge project that is permanently halted was originally planned to connect southern and northern coasts of the Izmir Bay, trespassing breeding islands of coastal and wetland birds and key foraging areas of flamingos. The historical decision of Administrative Court of Izmir states that the project passes through a key biodiversity area which is protected by international conventions and has different national and international protection status. The statement also emphasize the project may lead to the reduction of food sources, such as artemias that constitute the most important link in the food chain of flamingos and as a result the ecosystem connected with delicate balances may be damaged by the project. It is now formally concluded that there is no legal compliance for a positive decision of Environmental Impact Assessment.